Tune in starting Monday November 18th at 8 a.m./eastern 90's Week returns to Sorcerer Radio! 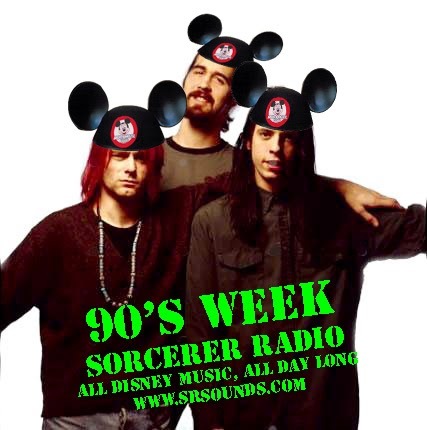 Hear the Sorcerer Radio DJ's play music from the Disney parks, films, resorts and the Disney Channel that helped make the 1990′s grunge-tastic! So get out those flannel shirts, Dr. Martens and your Mouse Ears and celebrate the magic of Generation X! See the entire Sorcerer Radio broadcast schedule. This Friday's WDW Tiki Room, the show about all things Disney, celebrates the season with the stars of ABC Family's Countdown to 25 Days of Christmas NEW original films. 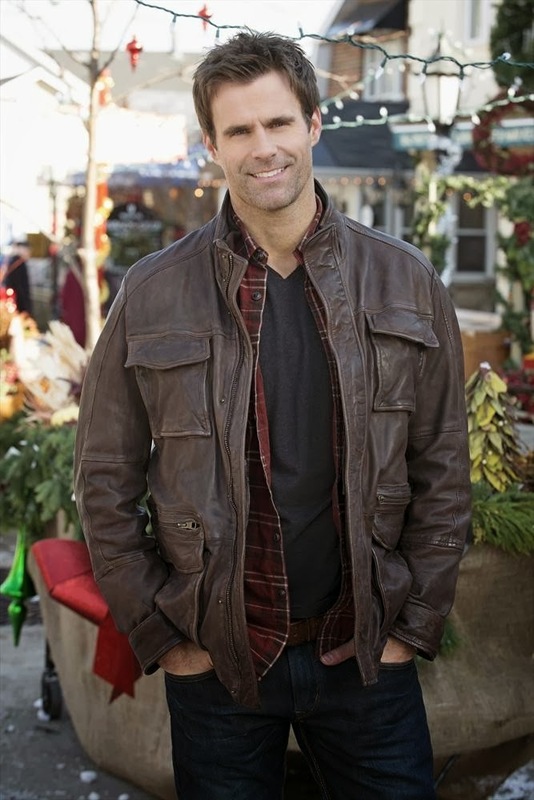 Cameron Mathison (All My Children, Dancing with the Stars) will be joining Aljon to chat about his new film "Holidaze." Also scheduled to appear on the show are stars of the "Christmas Bounty" Francia Raisa (Secret Life of the American Teenager) and WWE Superstar Mike “The Miz” Mizanin. "Christmas Bounty" premieres on Tuesday, November 26th at 7pm ET/PT and "Holidaze" premieres on Sunday, December 8th at 8pm ET/PT all part of ABC Family’s 25 Days of Christmas. Cameron Mathison is best known for his role as Ryan Lavery on the long-running soap “All My Children.” He joined in January of 1999, receiving the Soap Opera Digest Award for Outstanding Male Newcomer and a Daytime Emmy® nomination for Outstanding Supporting Actor in 2002 and 2004. Mathison’s other television appearances include “The Drew Carey Show,” “CSI,” “JAG,” “What I Like About You,” “F/X: The Series,” “Castle,” “Desperate Housewives” and “Hope & Faith.” In September 2007, he joined the cast of ABC's “Dancing with the Stars.” He also appeared in the television movies “Any Mother's Son” and ABC Family’s upcoming original holiday film, “Holidaze.” In 1999, Mathison appeared on the 33rd Annual Daytime Emmy® Awards broadcast as the show's Fan Zone host, and was a presenter at the 40th Annual Country Music Awards. He currently serves as a correspondent for “Good Morning America” on ABC. Mathison made his feature film debut in the 1998 Miramax release, “54.” He also starred in “Washed Up,” “The Carpenter’s Miracle” and “The Surrogate.” Cameron Mathison resides in Los Angeles with his wife, Vanessa, and their children, Lucas and Leila. Former bounty hunter turned elementary school teacher Tory Bell (Raisa) was ready for a new life when she left the family business behind and moved to Manhattan. But when an old enemy is released from jail and vows retribution on Tory and her loved ones, she returns to New Jersey to take care of him once and for all. When Tory’s upper-class fiancé, James, follows her home for Christmas, she tries to keep her bounty hunting ways a secret, but the plan backfires when James unwittingly becomes involved in the Bells’ mission. Further complicating matters, Tory must work closely with her ex-boyfriend, Mike (Mizanin) to bring down their target and keep James out of certain danger. But as Tory becomes further entrenched in her old life, she finds herself torn between whom she once was and her plans for the future. Will Tory choose her new life with James, or will the thrill of bounty hunting and unresolved feelings for Mike prove too powerful to ignore? Sorcerer Radio is the award winning, premiere Disney-inspired, fan-run station reaching a world-wide audience via Live 365, web apps and mobile devices. Founded in 2001, Sorcerer Radio, an officially licensed ASCAP, BMI and SESAC station, began streaming Disney theme park music and attraction audio as a channel on Live 365. Sorcerer Radio Network features hosted programs (WDW Tiki Room, SorCom Review, DW: 60, Disneyland Magic, Disney Trip Tips, E-Ticket Time), websites, blogs as well as network podcasts ans webcasts that appeal to a wide variety of Disney fans. Sorcerer Radio is also a news outlet for the Walt Disney Company interviewing a number of celebrities, authors, Disney cast members and content creators as well as covering news from the Disney Parks, Disney Channel, Disney XD, Disney Junior, Marvel Entertainment, Lucasfilm, Pixar, ABC Family, Disney Publishing, Disney Games and a number of special events and conventions like the D23 Expo, Star Wars Celebration, C2E2, Geek Media Expo, MTAC and more. Visit SRSounds.com for free mobile apps and program listings. LISTEN TO SORCERER RADIO OR DOWNLOAD OUR FREE APPS NOW AT SRSounds.com! Follow Sorcerer Radio shows on Twitter! Follow Sorcerer Radio Network partners, podcasts and webcasts on Twitter! Follow the Friends of Sorcerer Radio - websites and resources!